Color grading can completely transform the look of your video, but unless you’ve spent years inside a coloring house, you may not have the technical know-how to achieve the desired look. The right LUT can help turbocharge this. So what is a LUT? This article will define and explain LUTs so that you can use them to color grade your videos to give you the specific look you want. We’re also providing a free Ridley Scott inspired LUT pack to transform your footage. lut Color grading • what does lut mean? LUTs are the quickest way to grade your footage once you’ve color corrected. It's important to note that if your footage doesn’t match from shot to shot, is not properly exposed, or is poorly color corrected, that applying a LUT will not work the way you hoped it would. First things first, what does LUT mean? LUT (known as Lookup Table), is a term used to describe a predetermined array of numbers that provide a shortcut for a specific computation. In the context of color grading, a LUT transforms color input values (camera) to your desired output values (final footage). Why use LUTs on footage? An even more layman LUT definition is: A preset color look for your video footage. LUTs can be directly applied to your footage. This makes the grading process go by much faster, and specific LUTs can transform footage to look like your favorite films and shows. Now, there are several different types of LUTs available: calibration, transform, viewing, 1D and 3D. No matter which type you apply, you’ll want to know the input level and color space intended for the LUT you wish to use. LUTs are used through standard NLE’s (Non-Linear Editor - Premiere, Final Cut, Avid) or coloring software like DaVinci Resolve or Speedgrade. You can also use them in motion graphics programs like After Effects. There are generally two types of LUTs out there that you can use. Both types will use both bit size and bit depth to determine the accuracy of your lookup table. The bigger these numbers are, the better your color grade can look. Check out this LUT video that shows 1D LUTs vs 3D LUTs. A 1D LUT is called such because it is controlled by one value setting, and can be boiled down to a gamma curve preset. While this achieves the general goal of a LUT, it does not provide you with the level of control most editors and colorists would prefer. You will most commonly find 1D LUTs that use the .lut extension. A 3D LUT maps hue, saturation, and brightness to an individual axis, so that you have much more control over specific color values in your image. These are commonly found with .cube file extensions. There is also color presets known as CDLs. This stands for Color Decision List, and they are less stylized, but also less destructive to your footage. All of this matters when doing LUT color grading. Film LUTs can help your footage mimic 35mm film so you don’t spend your entire day adjusting sliders and color wheels. First, it's important to determine the look of your footage. Log exposure works better with Log specific film LUTs, while there are some film LUTs designed for footage with traditional digital saturation and contrast levels. As general best practice, we suggest you record your footage in Log whenever you can. Log (also known as S-Log) is a shooting profile to provide wide dynamic and tonal range, to provide more latitude when you're ready to color grade your footage with LUTs. At first, the image may appear flat (or "washed out"), but it retains shadow and highlight detail that would have been otherwise lost. The feature is mostly used in filmmaking and videography. This is also commonly referred to as "S-Log." After you've determined the look of your footage, practice color grading with LUT packs. LUTs can help emulate 35mm film, but it can also provide a way to mimic the cinematic looks of your favorite films and shows, and give you a jumping off point for your own style, but know that any adjustment you make won’t affect the LUT values. 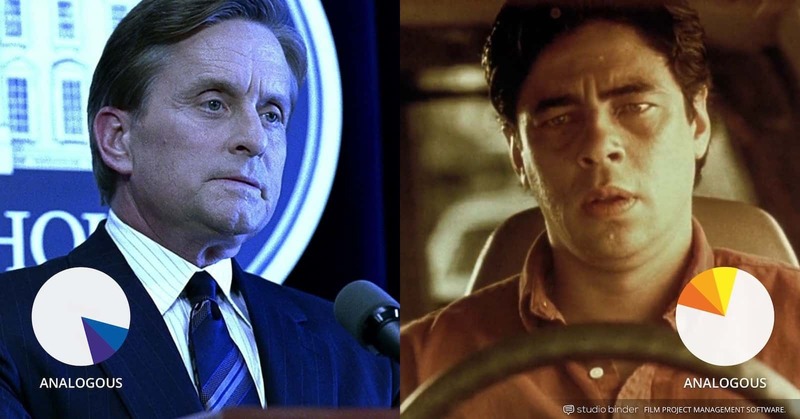 In the video below, you can see how David Fincher uses a neo-noir color scheme for his films. They are dark, and call attention to eerie colors by washing over the video with sickly greens or haunting blues. 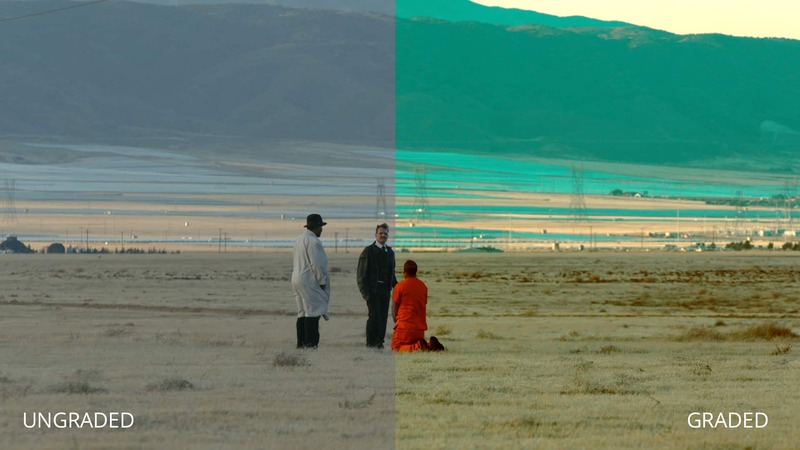 Color grade your film correctly, and it can amplify the feel of your film, submerging your viewer into a world dominated by your color scheme. Color grade your film incorrectly, and it can undermine your intentions, throwing off the viewer in some very unsettling ways. You may intend to apply different color grades to different scenes. This is a situation where LUTs are extremely useful because they will give you the option to create preset looks that can be strategically applied to specific scenes. A good example of this is the film Traffic. You can see here how each story is supported by the color schemes, and this not only helps from an artistic and emotional standpoint but we also gain some visual organization that is helpful for the viewer. Color is such a wonderful tool for the artist, but color coding is an age-old method for organizing practically anything. The same way you know where to dispose of your recycling versus trash, or whether you’re allowed to drive through an intersection is used to orient the viewer throughout Traffic. 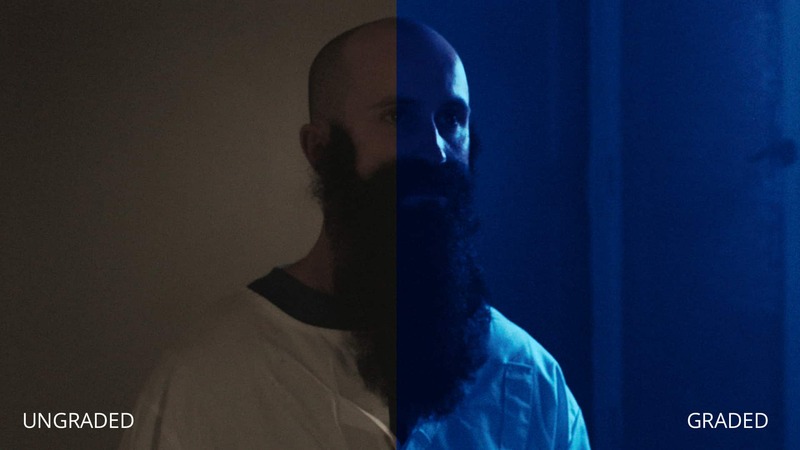 As another example of color grading, take a look at the color theory video which shows you how everything boils down to hue, saturation, and brightness. A light and desaturated red will evoke a different feeling from a dark and deep red, so just imagine how much more complicated your color schemes can become when you add different hues into the mix. Now that we know the quickest way to color grade your footage would be with a free cinematic LUT pack; we're providing free LUTs inspired by Ridley Scott films. They can be used as Premiere Pro LUTs, Da Vinci Resolve LUTs, Final Cuts LUTs, or Speedgrade and After Effects LUTs. Our LUT pack was created with 4K footage that was shot with a flat image profile (Log). 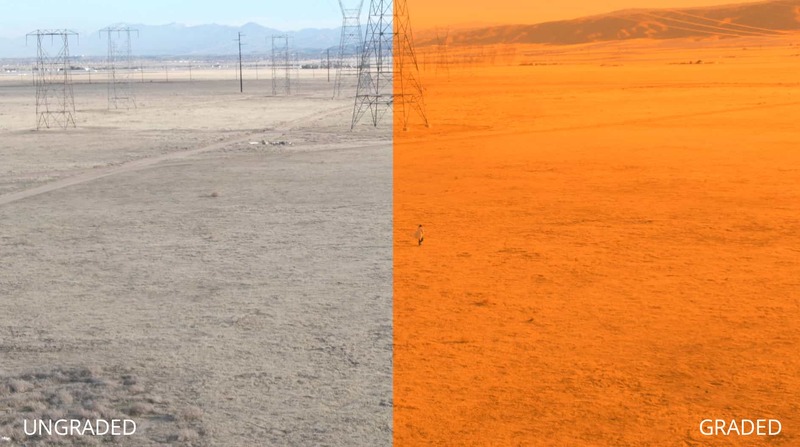 If you apply a LUT like these to footage that was shot with boosted contrast or more color, the corresponding values of your footage may end up being pushed beyond the acceptable range. You can use these free LUTs to color grade your footage, and gain an even more cinematic look. Emulate the same look as any Ridley Scott film with our free cinematic LUT pack. Developed in 3D to give you the maximum latitude when you color grade your Log footage. As mentioned before, most LUTs are meant to be applied to Log footage since you'll have the most dynamic range and latitude when you're color grading your video. If you’re ever unsure about the value levels, you can check the histograms or meter to make sure levels aren’t clipping or too low. Now you know what LUTs are and how to apply them to your footage, it's time to get deeper on the color grading process. Our next article will help you identify the key differences between color grading and color correction. There's a time and place for both, but which comes first?